Question: Why Keep Your Business Parking Areas Clean? Question: How can Atlanta Sweeping Services improve your Balance Sheet? Question: Why choose Atlanta Sweeping Services? A business' outside parking area is where customers derive their "first impression". If a parking area is clean to begin with, shoppers are more careful where they discard their trash. Keeping litter picked up will reduce the chances of slip-and-fall injuries, leading to lawsuits. The outside of a business projects an image of how the business will be operated. If maintenance on the outside is slipshod, people expect that the internal affairs of the mall or business will be poorly run too. Even the most beautiful landscaping is of no consequence if the parking area is debris-cluttered. Sand, dirt, and other trash are abrasive, and will shorten the useful life of pavement and the length of service time to any striping in the parking area. How can Atlanta Sweeping Services improve your Balance Sheet? Sand, dirt, and other debris are abrasive materials. The weight of vehicles driving accross the abrasive material will act as an industrial sander shortening the life of your pavement and increasing the frequency of seal coating & striping. The abrasive debris is also carried into the building on the bottom of shoes, shopping carts, two wheelers, etc. damaging tile and carpet. It is also a major factor in driving up the cost of floor care. When dirt and sand are allowed to stay on pavement, they quickly start deteriorating the pavement material. This is especially harmful when dirt collects and weeds begin to grow. Their roots cause cracking in cement and asphalt. A regular sweeping schedule reduces the chances of slip and fall accidents, as well as the property's potential liability in a lawsuit. Parking lots are typically several times larger than the green way and even the best landscaping can not mask a poorly swept parking lot. The overall appearance of your facility has a direct impact on the attitude of your customers, visitors, and employees. Outside parking areas are where business owners hope their potential customers will derive an initially good 'first impression'. The way the outside area looks also projects an image of how the rest of the concern will be operated. If exterior maintenance is slipshod, then potential customers might well expect the internal cleanliness and other affairs of the mall or business to also be poorly run. Why choose Atlanta Sweeping Services? 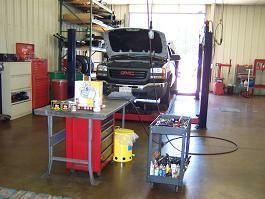 We provide professional, dependable service and we are fully insured. Our Staff is experienced, well trained and attentive to detail. We offer comprehensive and full range of services to best meet your individual needs. We use Nite-Hawk sweepers to provide the ultimate in quiet, efficient sweeping. Many of our customers take advantage of our volume pricing, shouldn't you? Copyright © 2019 by Atlanta Sweeping Services of Georgia. All rights reserved.